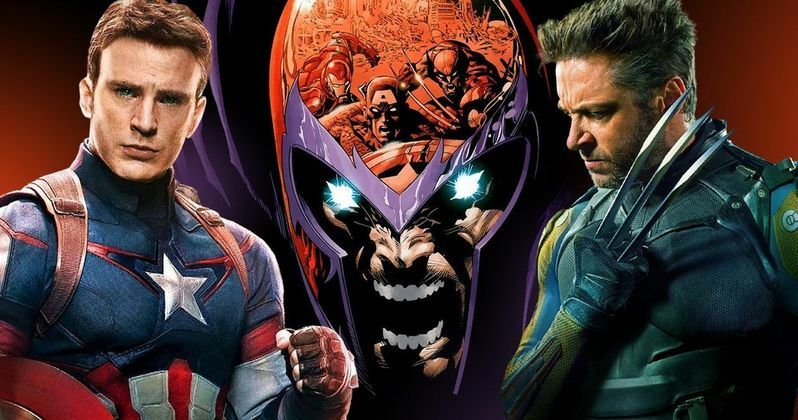 The Disney purchase of Fox hasn't yet closed, but it's pretty much an inevitability at this point and by this time next year, the X-Men and Fantastic Four will likely be back in the hands of Marvel Studios. That means big changes are on the horizon, but some of those changes are already taking place behind the scenes. Deadpool creator Rob Liefeld recently shed some light on those changes. Rob Liefeld recently appeared as a guest at Wizard World Comic Con in Austin. During a panel, which I attended, he spoke a bit about the future of the X-Men as it pertains to Marvel Comics. The publisher hasn't been releasing nearly as much mutant-related material over the past two decades, as Fox has been capitalizing on the movies since they own the rights, leaving little motivation for Marvel to put out X-Men comics. However, as Liefeld explains, that's already shifting. Here's what he had to say about it. Marvel Comics also recently re-introduced the Fantastic Four. Does this relate directly to the movies? Not necessarily, but it's the first breadcrumbs that signal the company at large is bracing for the rights to be back under one roof. This is good news for those who have been looking forward to Kevin Feige being in control of Wolverine, Cyclops, Jean Grey and the rest of the mutant gang. Rob Liefeld also spoke a bit about a massive X-Men event comic that he's working on, which is set to arrive next year. "I have a new project, 2019, it's a huge X-Men crossover...It's awesome...Marvel called me up last Thanksgiving and said, 'We want you to do a big story.' I said well, let's see if they'll go for this, and I tried to do something no one has done before. So I gave them this pretty aggressive proposal for an event and I can't say what it is, I can't say what it involves, got a lot of new stuff." Unless Disney was getting the rights back from Fox sometime next year, it's highly unlikely this X-Men comic book event, whatever it turns out to be, would even be happening. It's still early and there are still a lot of kinks that need to be ironed out before the merger is complete. But Rob Liefeld's insight is encouraging and it sounds like these characters are going to have new life at Marvel. First on the page, then surely the screen will follow.